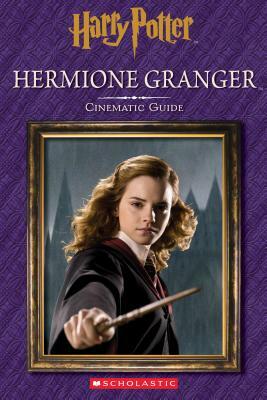 The Essential Film Companion for HERMIONE GRANGER that’s perfect for the youngest fans! Hermione Granger hardly ever breaks the rules—unless, of course, she needs to in order to rescue her friends and fight the Dark Lord, Voldemort. Throughout all eight HARRY POTTER films, Hermione shows her wisdom and daring on her adventures with best friends Harry and Ron, secretly brewing Polyjuice Potion, rescuing Sirius Black with a Time-Turner, and creating Dumbledore’s Army. Revisit these moments and more from the girl who proved that Muggle-borns can be the most skilled witches and wizards of all.